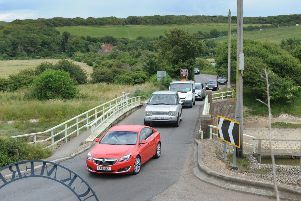 The A259 remains closed near Seaford following an accident earlier this evening involving a car and a motorcycle. Police were called at 6.15pm to the incident, reported on the eastbound carriageway of the A259 Newhaven Road at Bishopstone. A police spokesman said there had been no reported injuries. Traffic is being diverted via local roads. Police remain on scene while recovery is arranged.